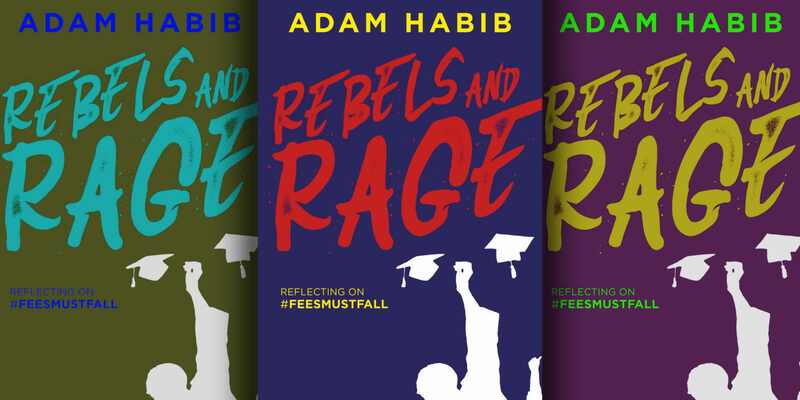 The book moves between reflecting on the events of the last three years on university campuses, and reimagining the future of South African higher education. Was it worth it? Should we have forced the completion of the academic year with police presence and security activation? There is a debate about this, of course. It was not the only option. The entire higher education system was in turmoil in October 2016, and institutions adopted a variety of responses to the crisis. On the one end of the spectrum were institutions like UJ, which activated quite stringent security measures very early on to complete the year. On the other end, institutions like UCT went out of their way to avoid a security response, closed their academic programmes early, and even postponed some of their teaching and examinations to the new year. Wits University had always been somewhere in between; at the end of 2016, we shifted towards the UJ end of the spectrum. I had always publicly argued that we required a mix of political and security interventions, the precise balance of which was to be determined by the specific circumstances that confronted one. It is worth noting that Max Price and I consulted closely throughout the late-2016 protests. For a shortwhile we spoke every night, mostly after 22h00 or 23h00, when he would brief me about developments at UCT and I would do the same for Wits University. We compared strategies and spoke through the advantages and disadvantages of our different responses. Our strategies were in part informed by our different geographies and circumstances. UCT is on a mountain and has quite a porous perimeter. It has no fence, no gates and no access control. Each building has to be individually protected. Wits, by contrast, is a much more urban campus, with well-defined boundaries, and is much more easily containable. Our political context was also very different. Wits was more in the limelight, more engaged with church leaders, political parties and civic actors, and more the focus of political parties. It also seems, on the basis of the conversations with Max, that there were far more attempts at arson at Wits than UCT. These circumstances greatly influenced the institutions’ responses. But it would also be fair to say that our differential institutional responses were also partly determined by our own comfort and willingness to initiate security measures. This may have had to do with the fact that the Wits executive was far more united and cohesive than its UCT counterpart. In any case, for the first part of the protest wave in late 2016, we mirrored each other’s strategies. … our being able to run the exams in November entirely without disturbance and minimal security … The extensive exam sessions the following January were because we allowed all students to defer any or all of their exams if they felt the lack of classes or general stress of disturbances prevented them from performing to their best. Many students split their exams across both sessions. Thus many thousands also wrote in January and in order to accommodate so many, we needed the full three weeks for the deferred exams, which normally are written in one week. For this reason we also delayed the start of the 2017 academic year by a month. There were some selected degrees (pre-clinical medicine, engineering and a few other courses) where the amount of practical time lost during the weeks of suspended classes would have compromised the quality of the curriculum and these courses brought students back in January before the deferred exams to do the practical work that had been missed. This was the only formal teaching that carried over to the new year. Yet while Max might interpret this as having completed the 2016 academic year, this is not how many others saw it. Many interpreted the decision as UCT not having completed the academic year. Both of us were criticised by different stakeholders. Whereas most academic staff and students supported our plans to finish the year, we were heavily criticised by both #FeesMustFall activists and members of the far left within the academic community. The latter had recommended the course of action that UCT had adopted. But at UCT, Max also came under severe criticism from many staff, students and especially alumni. Many felt that the executives there had sacrificed the rights of the vast majority for the political preferences of a small, non-representative group of student leaders. Ultimately, only time will tell which course of action was appropriate, under the circumstances. But if compelled to make a preliminary judgement while the memories of 2016 are still fresh, I would suggest that the executive at Wits called it right at the end of 2016. In 2017, Wits University had a far more placid year, with no serious disruptions of the academic programme. The same cannot be said of UCT, which unfortunately had to conclude the year with stringent security protocols and police and dog patrols in the evenings around examination venues. In many ways, UCT had to undertake the kind of security measures in 2017 that it had avoided taking in 2016. Adam Habib is Vice-chancellor of Wits University. Rebels and Rage is published by Jonathan Ball.